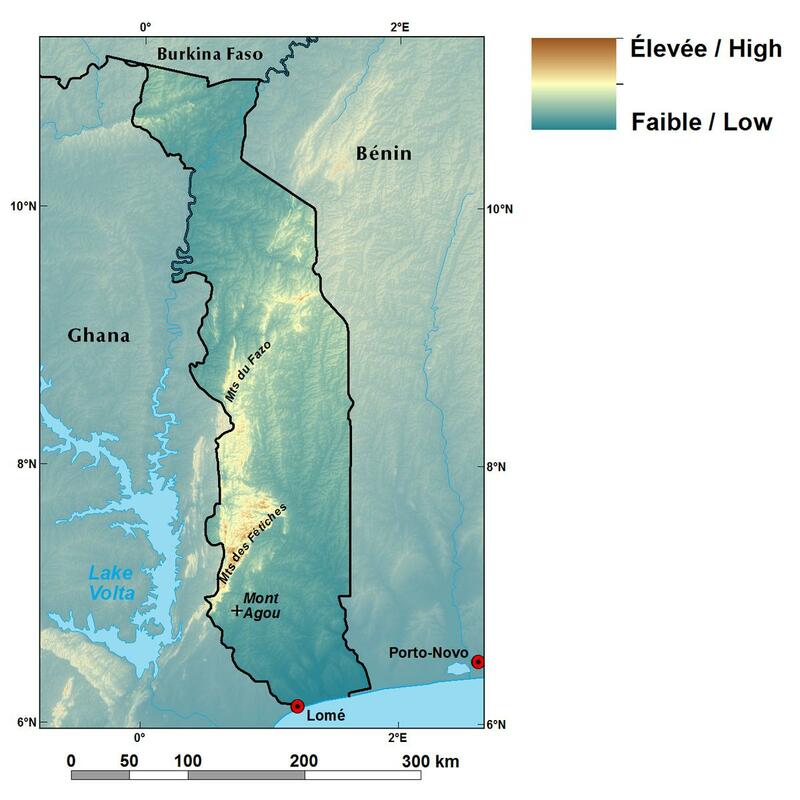 With the exception of the Atacora Mountain range, Togo’s topography is one of gently rolling hills, shallow valleys, and two large alluvial plains. The chaîne de l’Atacora (FA – Atacora range), where natural forest and savanna landscapes can still be found, cuts diagonally across the central part of the country. Northern Togo — the Savane Soudanienne Sèche ecoregion (SSS – Dry Sudanian Savanna)— has become predominantly agricultural. Just south, a broad plain with the meandering Oti River is the setting for a large national park. In the country’s southern half, Togo’s agro-pastoral region (ZAA) and plateau regions (PBS and PBN) are characterized by a patchwork of savannas, gallery forest, and cropland. Here, too, there is extensive expansion of croplands, supplanting the natural vegetation cover. In the coastal plain, the zone Fluvio-lagunaire (ZFL – Fluvio-lagoon zone), with its complex of lagoons and swamps, is bordered by the Terre de Barre (TB), a plateau of ferruginous and clay soils, often covered by large palm plantations.